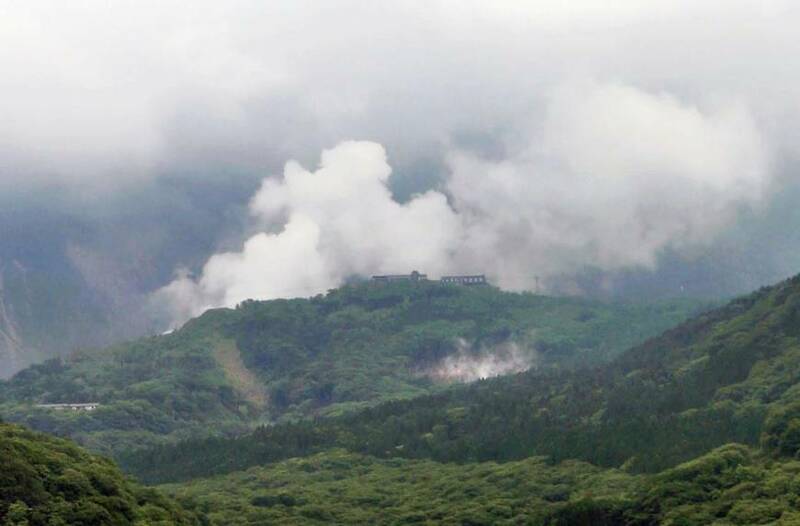 July 1, 2015 YOKOHAMA – Authorities on Tuesday raised the volcano alert for Mount Hakone in Kanagawa Prefecture, restricting access to the area after a small eruption at the popular tourist site. YOKOHAMA – Authorities on Tuesday raised the volcano alert for Mount Hakone in Kanagawa Prefecture, restricting access to the area after a small eruption at the popular tourist site. The Meteorological Agency said it confirmed volcanic ash was emitted from the area, which has been venting unusual amounts of steam in recent months. The agency said the ash deposits indicate that a small eruption occurred between Monday evening and Tuesday. Mount Hakone, about 80 km south of Tokyo, last erupted between the late 12th century and 13th century, according to experts. Volcanic activity in the area began intensifying in late April but recently showed signs of subsiding. The alert level was raised from 2 to 3 on the 5-point scale as the agency warned that large volcanic cinders could fall in areas as far as 700 meters from where experts believe a new crater has been formed. The higher alert restricts people from entering the area. Level 2 restricts people from getting close to the crater. The alert came after an earthquake with an estimated magnitude of 3.3 on the seismic intensity scale of 7 occurred at 6:56 a.m. Tuesday in the Yumoto district of the town of Hakone. It was the strongest quake recorded at the mountain since volcanic activity began increasing April 26, the Meteorological Agency said. On Monday, a volcanic oscillation, which is a sign of underground movement of magma and hot water, continued for five minutes from 7:32 a.m. for the first time since late April, when Mount Hakone’s hot-spring district started to actively vent steam. The number of volcanic earthquakes at the mountain rose sharply, with 140 counted by 8 p.m. Monday. There was also an earthquake with an intensity of 1 in the Hakone-Yumoto district. No atmospheric disturbance caused by a volcanic eruption had occurred, according to gauges. Japan, one of the most seismically active regions in the world, has experienced a recent increase in earthquake and small volcanic eruptions, including one that required the evacuation of Kuchinoerabu, Kanagawa Prefecture, in late May.